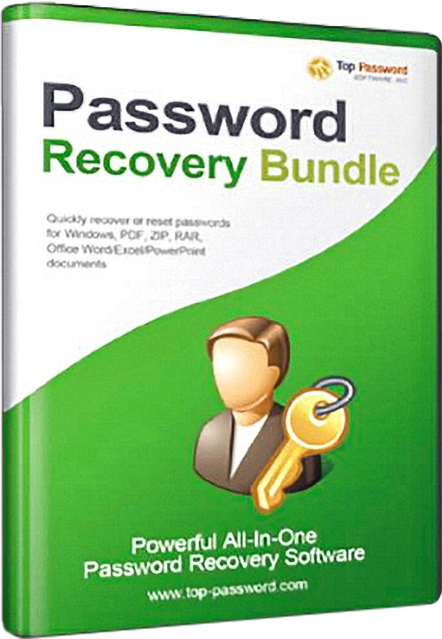 Direct - Password Recovery Bundle 2018 Enterprise / Professional - TeamOS | Team OS : Your Only Destination To Custom OS !! Retrieve passwords to **** accounts created in Microsoft ******* 98 / 2000 / XP / 2003 / 2007 / 2010 / 2013 / 2016, ******* Express, Windows 10 **** app, Windows ****, Windows Live ****, Hotmail, *****, Eudora, Incredimail, Becky! Internet ****, Phoenix ****, Ipswitch IMail Server, Reach-a-****, Mozilla Thunderbird, Opera ****, The Bat!, PocoMail, Pegasus ****, etc. 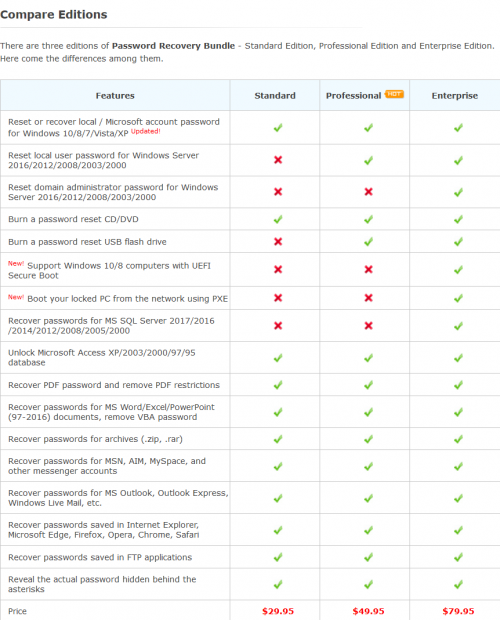 * PST Password Recovery - Instantly recover lost or forgotten passwords for Microsoft ******* 2016 / 2013 / 2010 / 2007 / 2003 / XP / 2000 / 97 personal folder (.pst) files. 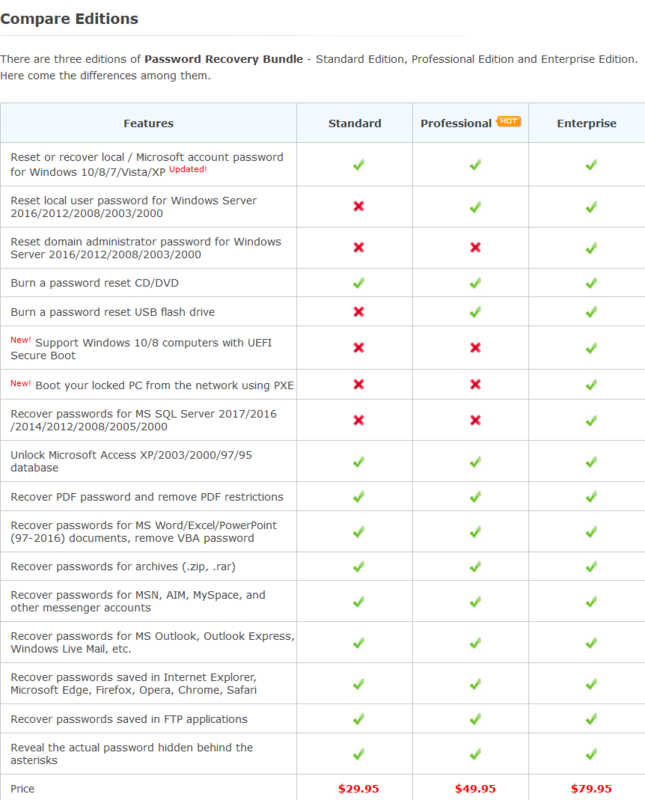 * PDF Password Recovery - Recover lost passwords of protected PDF files (*.pdf) with GPU acceleration. Instantly remove PDF restrictions for editing, copying, printing and extracting data. * Office Password Recovery - Recover forgotten passwords for Microsoft Office Word / Excel / PowerPoint 2016 / 2013 / 2010 / 2007 / 2003 / XP / 2000 documents using GPU acceleration, and remove lost passwords on Excel VBA project. * Archive Password Recovery - Recover lost or forgotten passwords for WinRAR or RAR archives, and ZIP archive created with WinZip, WinRAR, PKZip, etc. * MS Access Password Recovery - Unlock Microsoft Office Access XP / 2003 / 2000 / 97 / 95 database. * SQL Server Password Recovery - Reset forgotten SQL Server login password for SQL Server 2000 / 2005 / 2008 / 2012 / 2014 / 2016 / 2017. * Browser Password Recovery - Recover passwords to Web sites saved in Internet Explorer 6 / 7 / 8 / 9 / 10 / 11, Microsoft Edge, Mozilla Firefox, Opera, Apple Safari, Google Chrome, Chrome Canary, Chromium, SeaMonkey, Flock and Avant Browser. It also allows you to remove IE Content Advisor password. * FTP Password Recovery - Decrypt FTP passwords stored by most popular FTP clients: CuteFTP, SmartFTP, FileZilla, FlashFXP, WS_FTP, CoreFTP, FTP Control, FTP Navigator, FTP Commander, FTP Voyager, WebDrive, 32bit FTP, SecureFX, AutoFTP, BulletProof FTP, Far Manager, etc. It enables you to view passwords hidden behind the asterisks in password fields of many programs, such as Internet Explorer, CoffeeCup FTP, WinSCP, FTP Explorer, FTP Now, Direct FTP, Orbit Downloader, ****.Ru Agent, Group ****, Evernote and much more.